Read about - Pyramid Rock Lookout below. Pyramid Rock Lookout is in Porcupine Gorge National Park and is about 70 kilometres north of Hughenden in outback Queensland. 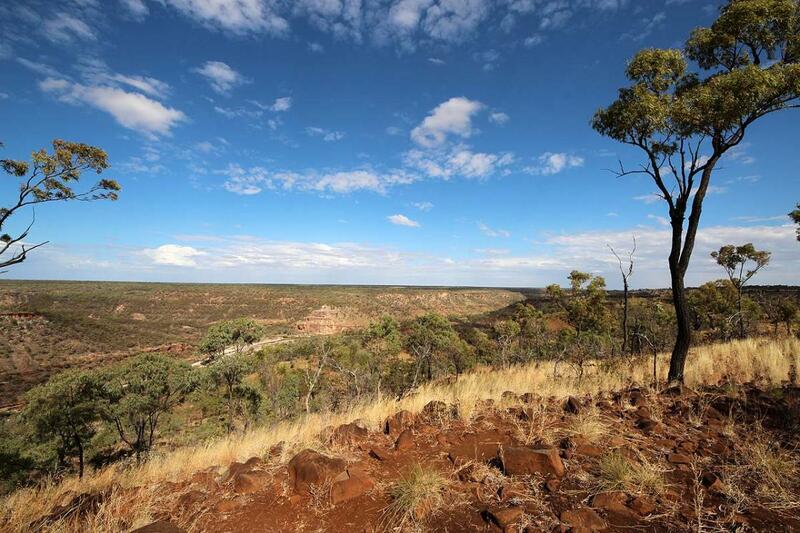 A sheet containing direction to this lookout can be obtained from the Visitor Information Centre in Hughenden, and it will give directions to the Gorge as well as points of interest along the way. RvTrips has downloaded a PDF on the website for your information. Pyramid Rock sits in a wider section of the Porcupine Gorge and has been created from coloured sandstone - rocks around this natural structure have been eroded away over time. You can view Pyramid Rock from the lookout near the camping ground and then take the walking track to the bottom of the gorge to view this huge sandstone rock from the edge of the Porcupine Creek. have you been to Pyramid Rock Lookout? Explore Pyramid Rock Lookout - Porcupine Gorge NP with RvTrips and find out where to stay, what to do and what to see. Helping caravan, motorhome and camper owners have a great holiday.